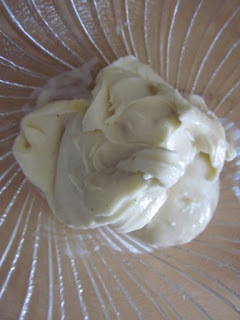 Please welcome Nita from Vegmom.com as she shares a simple banana ice cream recipe and muffin tin mix in idea. 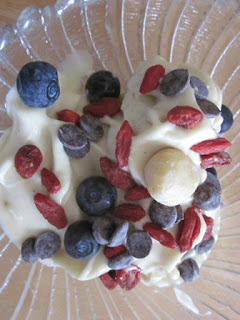 As soon as I read how easy the this frozen banana treat was, I tried it myself. It's delicious! 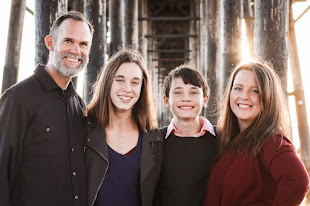 I’m so excited to have the honor of a guest post on Muffin Tin Mom and especially to talk about my favorite food topic. BANANAS! A couple years ago I saw this post from Choosing Raw saying that Banana Soft Serve would change my life. And she wasn't kidding. We LOVE this stuff. I mean, it’s just bananas. 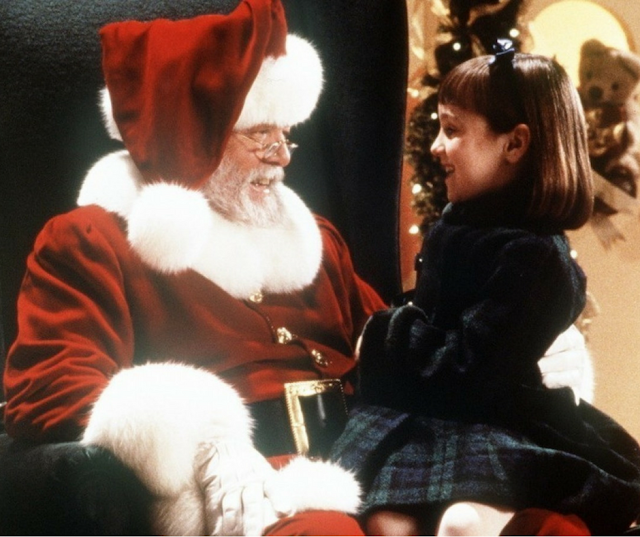 What is not to love about that? I've been known to add spinach, berries, peaches, nut butters, even fresh mint and vegan chocolate chips. The possibilities are endless. The flavors are plentiful. And it all starts with a simple frozen banana (or two or three or 10). Then insert Muffin Tin Mom who gave me the great idea to put our topping selection in to a muffin tin. 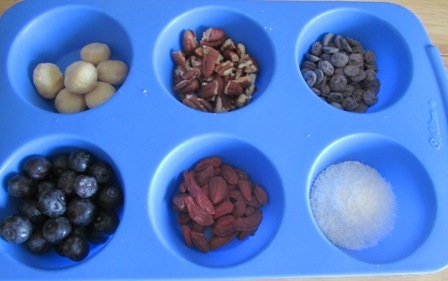 Toppings of the day included, macadamia nuts, chopped pecans, carob chips, fresh blueberries, goji berries and coconut shreds. 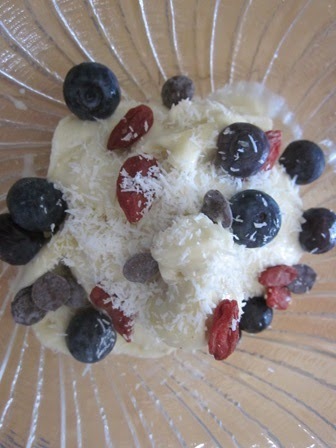 My young man made his own bowl (pictured above) and the husband had to have a Macadamia nut on top. Voila, Breakfast was served. Yes, I said breakfast. Normally ice cream is dessert, but when it’s Banana Whip Soft Serve, Breakfast becomes doable. Thank you for Muffin Tin Mom for allowing me to share this with you. Thank you Nita for sharing this with us! This easy banana soft serve is truly delicious! I would add that it blends to a dough-like consistency, so don't expect it to look like traditional ice cream or soft serve. To freeze bananas, always remove it from the skin first. If you own a high speed blender, the tamper is essential in getting it mixed together. This works with strawberries too! It turns out like a yummy gelato. If you are looking to invest in a high speed blender, I love my Vitamix Blender . It's amazing and can make everything from soups to ice cream. 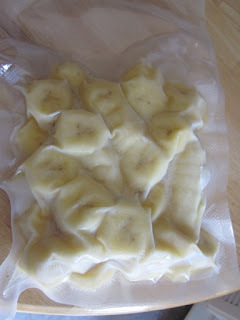 I have a ton of frozen bananas right now...i am soooo doing this, yummy! !